The COPS Office is pleased to feature the Grand Rapids Police Department as a 2019 winner of the Community Policing in Action Photo Contest. The winning photo captures a spontaneous moment when patrol Sergeant Wojczynski stopped to assist an elderly woman shoveling her driveway. These programs also assist with the department’s focus on trust building. Like many agencies across the country, the GRPD receives pushback from the community due to the lack of trust towards police officers. GRPD’s chief youth advisory board, Impact, works to create dialogue between youth and police. “Our purpose is to understand what the youth issues are and for these [students] to help us guide some of our youth policies,” says Chief Kiddle. To further understand community concerns, the GRPD began working with Elucd to track trust, safety, and satisfaction. The company is able to measure real-time sentiments by issuing short surveys via social media. Each month the department receives the scores and is able to use the data to help better direct their community engagement efforts. The GRDP’s wide range of resources and initiatives demonstrates its commitment to the community, and its hands-on approach makes those initiatives successful even with a staffing deficit. Chief Kiddle encourages all officers to do what Sgt. Wojczynski is doing in the winning picture – simply lending a hand. 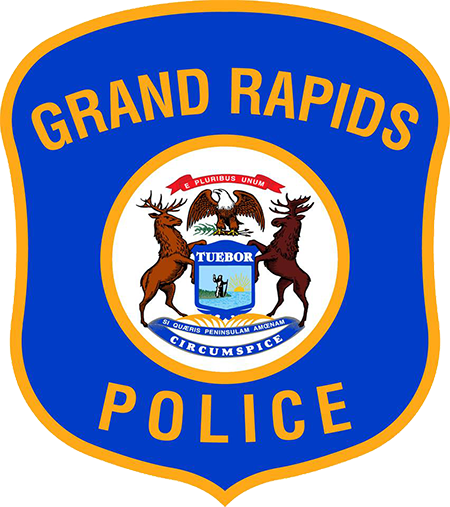 The GRPD understands that every interaction matters, even if it only affects one individual or one individual family—and the GRPD officers are all in.